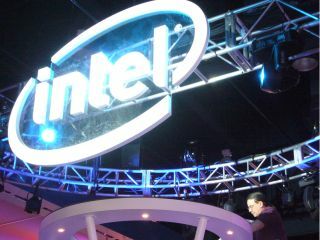 Intel has announced its best ever quarter, putting a $2.9 billion (£1.91bn) profit down to healthy PC and server markets and its own 'leading-edge' technology. The chip giant increased profits from the last quarter by a whopping $445 (£293m) and reporting revenue of $10.8 billion (£7 billion). The Core ranges have proven to be popular in desktops and, perhaps more importantly, the still-buoyant laptop arena, while Atom has become the key player in netbooks. But corporate customers were credited with the huge profits reported, in a 34 per cent increase in revenue. "Our process technology lead plus compelling architectural designs increasingly differentiate Intel-based products in the marketplace. "The PC and server segments are healthy and the demand for leading-edge technology will continue to increase for the foreseeable future." Not bad, especially considering the company is still paying off the massive European Commission fine.